Spectacular Nidderdale in North Yorkshire is a landscape of contrasts, although outside the Yorkshire Dales National Park it was designated Area of Outstanding Natural Beauty in 1994 and covers an area of 233 square miles (603 km2). The only town in the dale is Pateley Bridge, a small market town, known locally as Pateley, which lies on the River Nidd, which flows from the fells around Great Whernside, but the area includes several picturesque villages. Lofthouse is situated near to How Stean Gorge, known as known as 'England's little Switzerland'. The village derives its name from the Old Norse 'lopt hús', meaning houses with lofts. It has a primary school, memorial village hall and a pub, the Crown Hotel. 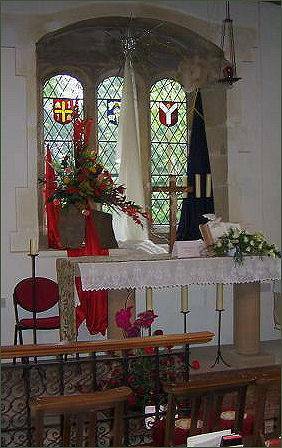 Bewerley is an ancient village, which is mentioned in the Domesday Book of 1086. Prior to the Norman Conquest it was part of the estates of Gospatric, Earl of Northumbria. Following the conquest the estates passed to the Mowbray family and in 1175 Roger de Mowbray sold the Bewerley estate to Fountains Abbey, which established a grange at Bewerley. In 1674 the manor of Bewerley was acquired by the Yorke family, which held it until 1924. Bewerley Hall was built in the sixteenth or seventeenth century. In 1774 it was acquired by the Yorke family, who built a new hall in 1815. The new hall was demolished in 1925, but the old hall survives. Bewerley Grange Chapel (pictured right) was built by Marmaduke Huby, abbot of Fountains Abbey from 1495 to 1526. Following the Dissolution of the Monasteries the chapel was used as a dwelling house, and from 1678 to 1831 as a school. In 1965 it was restored and returned to its former use as a chapel. 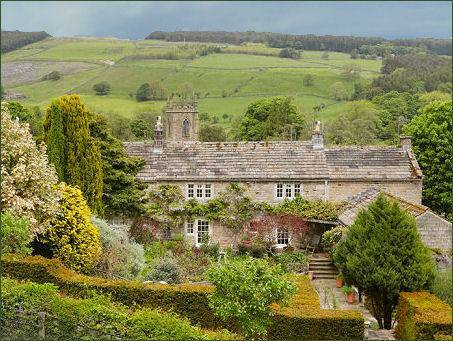 Dacre lies about 5 miles to the south of Pateley Bridge. The largest settlement in the parish is Dacre Banks, situated on the River Nidd, where the church stands. The village of Dacre lies on higher ground a mile south of Dacre Banks. The Royal Oak at Dacre Banks (pictured left) is an eighteenth century Grade II listed traditional Inn, which serves excellent food and offers accommodation. Picturesque Middlesmoor (pictured right), clings to the sides of the moor and is is situated on a hill above the town of Pateley Bridge, The first mention of the place name occurs in the twelfth century, probably means "moorland in the middle of two streams" referring to the River Nidd and its tributary How Stean Beck. In the twelfth century Byland Abbey established a grange at Middlesmoor Church. A church has existed at Middlesmoor since Anglo-Saxon times. There is a stone cross inscribed "Cross of St Ceadda" (Chad), which dates to Anglo-Saxon times, in the Church of St Chad, which also contains an ancient font which is possibly Anglo-Saxon. The present church was built in 1864 and occupies a commanding position overlooking upper Nidderdale. Summerbridge lies on the River Nidd, on the opposite bank of the river to Dacre Banks, and lis located 2 miles from Brimham Rocks, amazing balancing rock formations on Brimham Moor. The village has a pub, the Flying Dutchman, owned by Samuel Smiths Old Brewery, tea rooms, a fish and chip shop and a post office, a general store, a butcher and a large hardware store. There is also a large Methodist church, a primary school and a fire station. 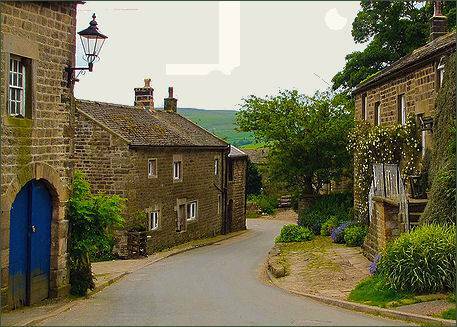 The small village of Ramsgill, (pictured right) a typically picturesque Nidderdale village, lies about 2 miles (3.2 km) to the south-east of Lofthouse and lies near Gouthwaite Reservoir, a nature reserve owned by Yorkshire Water. The attractive village of Darley has won many local and national 'Britain in Bloom' awards. The village extends for 1 mile east from a junction with the B6451 road. The small village of Glasshouses lies about a mile to the south-east of Pateley Bridge on the east side of Nidderdale and has a recently rebuilt river bridge across the river Nidd. The old twine mill, on the banks of the Nidd, now houses a number of small businesses. 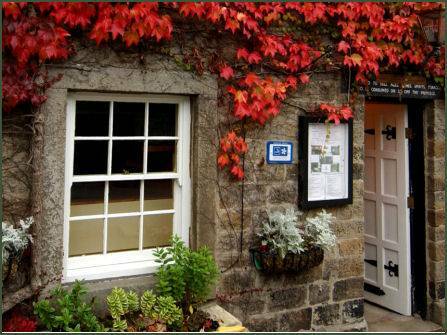 The village has a pub, The Birch Tree Inn, on the main Harrogate to Pateley Bridge road just outside the village. May day is celebrated every year with traditional May Pole dancing and the crowning of the 'May Queen' on the village green. The village of Birswith contains Birstwith Mill run by Kerry Ingredients, the River Nidd provided water for the mill, and although sluice gates and a mill race exist, the water wheel no longer turns, an existing weir provided the mill with a head of water. The mill race rejoins the river downstream. About 1 mile (1.6 km) upstream is a packhorse bridge. The local public house is the Station Hotel which acts as a meeting place, and venue for organised charity events such as the Birstwith Coast 2 Coast Cycle Challenge. A village primary school and a Reading Room, built and donated by the owner of the local Swarcliffe Hall in about 1880, still exist, Swarcliffe Hall is now a private school. Wath is approached by an attractive stone bridge and is set far enough away from the main road to be one of the the most peaceful places in the dale.